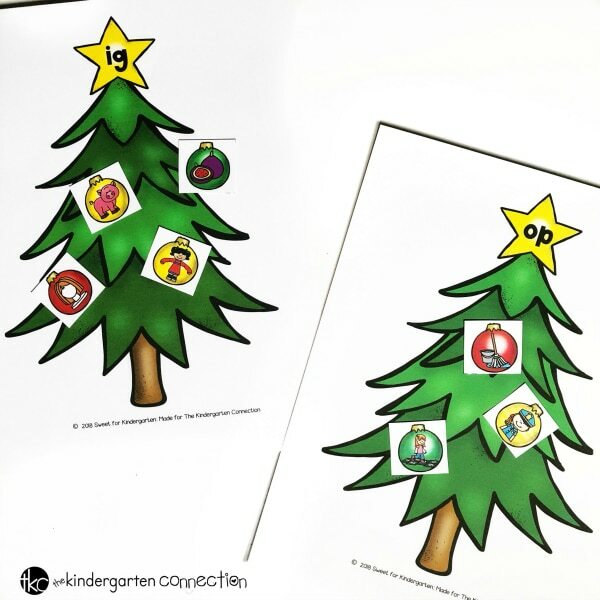 FREE Christmas Tree Word Family Picture Sort Activity for Kindergarten! Christmas time in Kindergarten is the most wonderful time of year! I love using Christmas themed activities in my math and literacy center rotations. 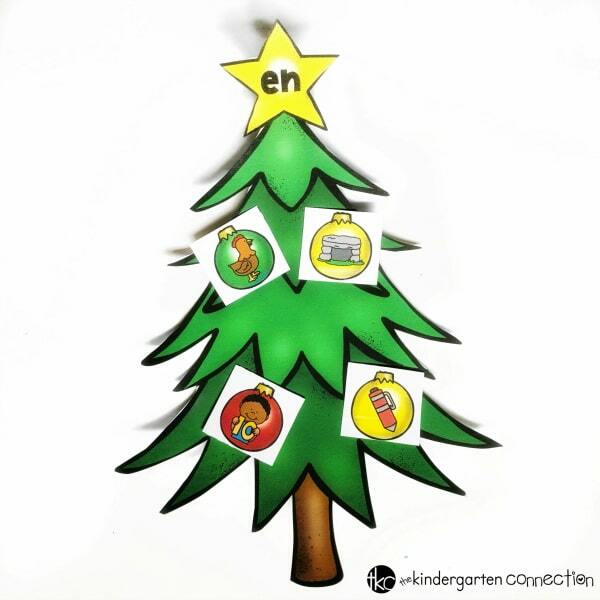 Today, I am going to share a Christmas Tree Word Family Sort that you can use in your literacy centers or small group. A word family is the rime, or ending, of a word, such as -at, -ip, or -un. 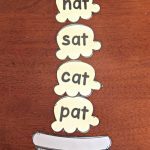 When students learn how to read, identifying word families is a great way to build fluency. Some students find it easier to blend the onset and rime of a word, like c-at, rather than sounding out each individual sound, like c-a-t.
As a teacher, you need to make sure your students practice blending both ways. 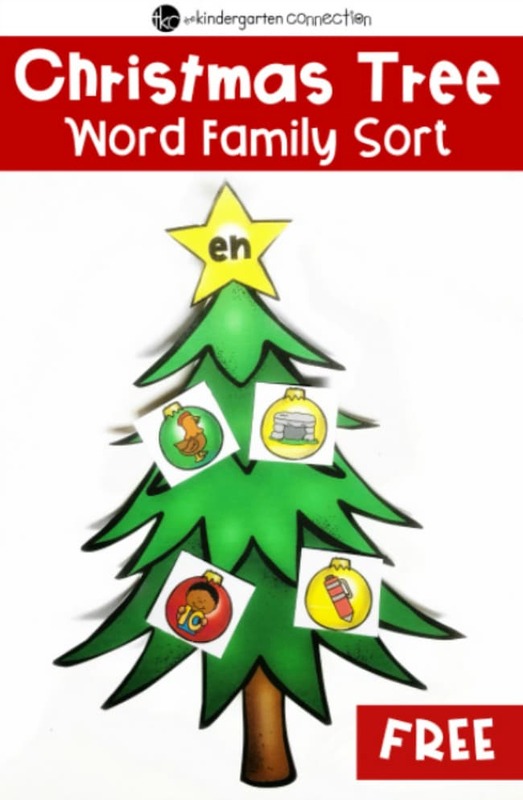 I like to introduce word families using picture sorts, so this Christmas themed word family activity is great for any level! You can either cut out each word family tree, or leave as is and use it like a mat. Then, cut out all of the ornament pieces and mix together. I always suggest to laminate center activities, so you can use with future students as well. Whenever I introduce a new center, I always practice it the day before in a whole group setting. 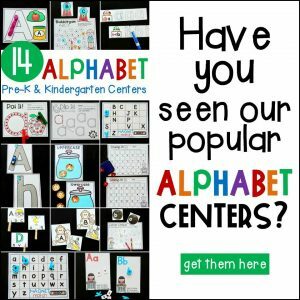 This allows you as the teacher, to model exactly how they will play in their center groups. First, set up the Christmas tree word families on a table or carpet. 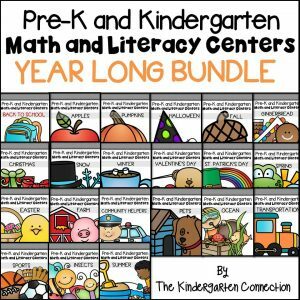 This would also work on an easel or whiteboard with magnets. Students will pick an ornament and look at the picture. They will name the picture and then isolate the word family. I make sure my students say it out loud, as they sort the picture. Students will place the ornament on the correct word family tree. Continue taking turns until all ornament pieces are sorted. An easy way to challenge your students is to practice writing out the word. For example, a student sorts the “cat” picture onto the -at word family tree. Next, have them use a mini whiteboard to spell and write the word. 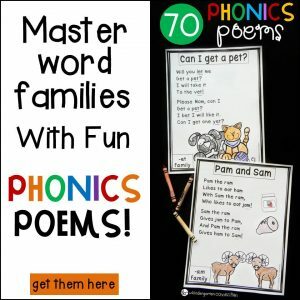 This will help them see how easy it is to spell words, if you know the word family. 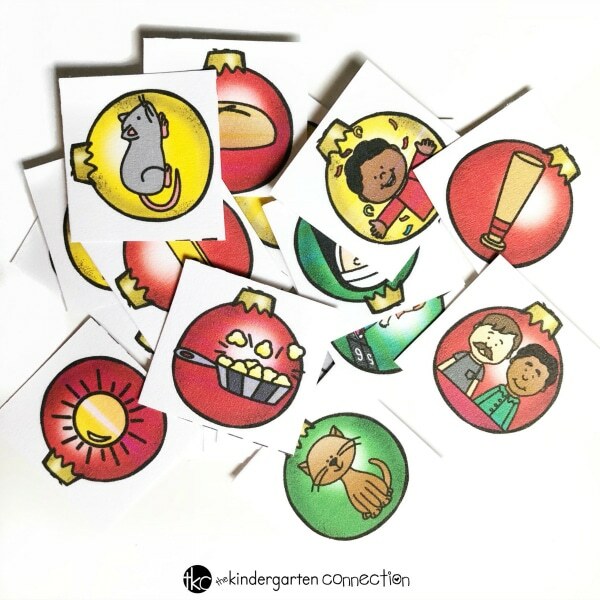 I hope you enjoy using this Christmas themed word family sort in your December literacy centers! 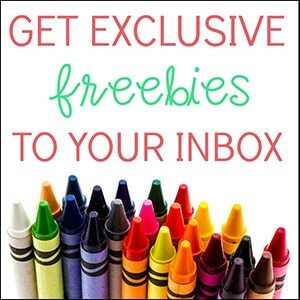 If you’re ready to get started, then scroll down and click on the large, yellow button below! 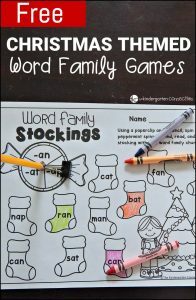 Then, hop on over to see our Christmas Themed Word Family Games! This came at a perfect time for me. We are working on word families and this will hold their attention more than the regular picture sorts we use. Thank you. Hi Normae! That’s fantastic, we are so happy to help! Have fun!